Lots of folks asked, "Is that the Archdeacon?" when they saw the wonderful article in Sunday's News Star (see here). The answer is yes! Archdeacon Bette Jo Kauffman, is not only a deacon in the Episcopal Church, the Bishop's Archdeacon, a professor at U.L.M., but also a very good photographer. She was one of 60 artist chosen out of 619 applicants for Louisiana's largest multimedia juried art exhibition. 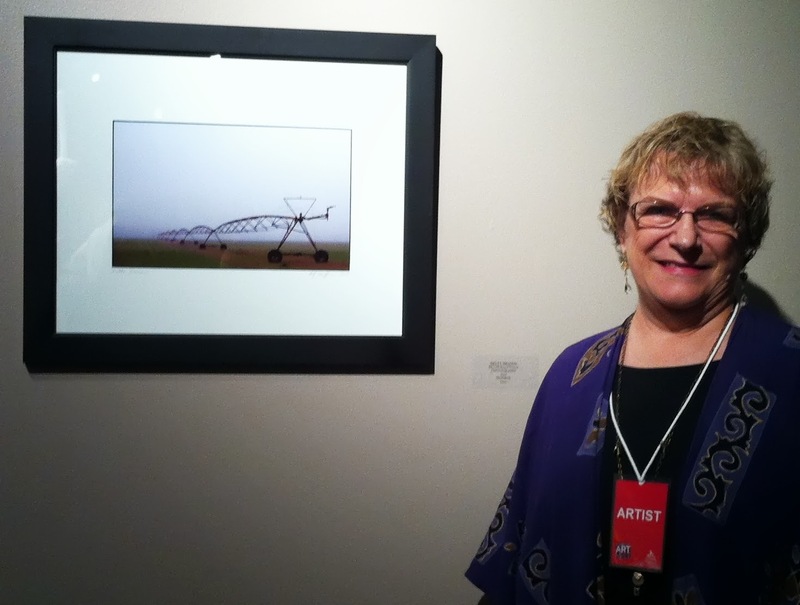 Above is a photo of Bette at the Art Melt preview party with her photograph "Delta Dragon."